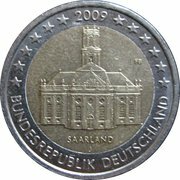 2 Euro Bundesländer - "Saarland"
The coin features the Ludwigskirche, a symbol of Saarbrücken, the capital of the Saarland. 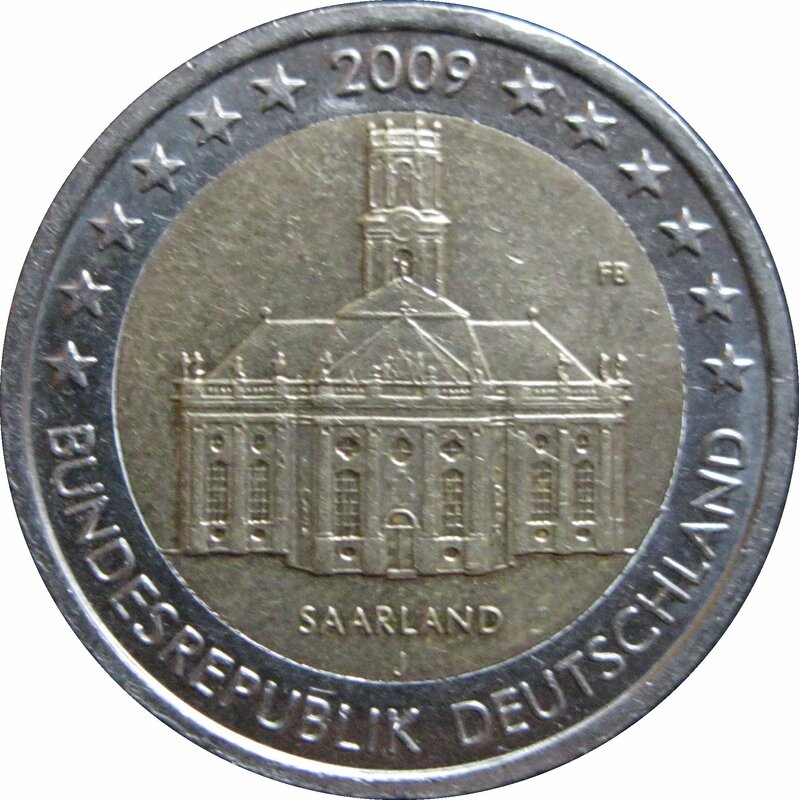 It shows the distinctive east facade and bell tower of the church, with the word ‘SAARLAND’ and ‘G’, a mint mark, underneath. 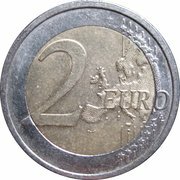 It was designed by Friedrich Brenner, whose initials appear to the right of the image. The year of mintage, 2009, the 12 stars of the European Union and the words ‘BUNDESREPUBLIK DEUTSCHLAND’ are depicted on the outer ring.